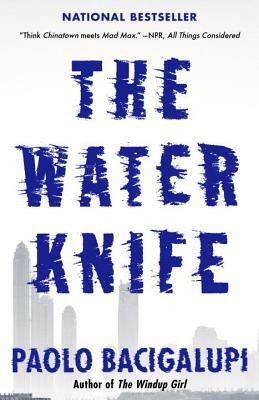 The Water Knife (Paperback) | Eagle Harbor Book Co.
PAOLO BACIGALUPI is a Hugo, Nebula, and Michael L. Printz Award winner, as well as a National Book Award finalist. He is also a winner of the Theodore Sturgeon Memorial Award, the John W. Campbell Award, and a three-time winner of the Locus Award. His short fiction has appeared in The Magazine of Fantasy & Science Fiction, Asimov’s Science Fiction Magazine, and High Country News. He lives with his wife and son in western Colorado, where he is working on a new novel.